La Osteria is an Italian restaurant in Woodlawn, outside Ottawa, Canada. Their site is unfortunately rather incomplete, but the photos of their offerings look really great. The best part is that they host a section where you can look up their recipes and cook them up yourself. Below is just a small sampling. 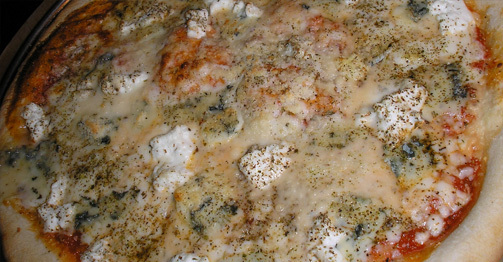 Visit La Osteria Recipes On-Line to discover more recipes for pizzas and other delicious fare. 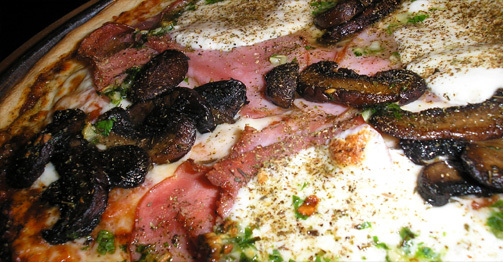 When the dough and the tomato sauce are ready, place Mozzarella cheese, ham and mushrooms on pizza. Sprinkle on oregano, thyme, parsley and garlic and pepper to taste. 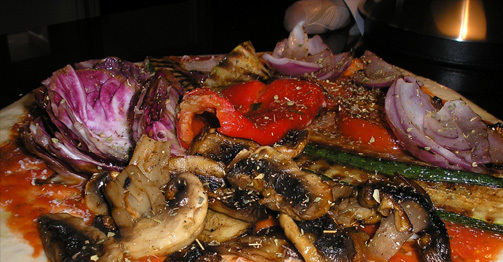 When the dough and the tomato sauce are ready, place all the grilled vegetables on the pizza. When the dough and the tomato sauce are ready, add mozzarella, ricotta, parmesan and gorgonzola or Roquefort, in that order, on the pizza. Open only Wednesday to Sunday 5 P.M.